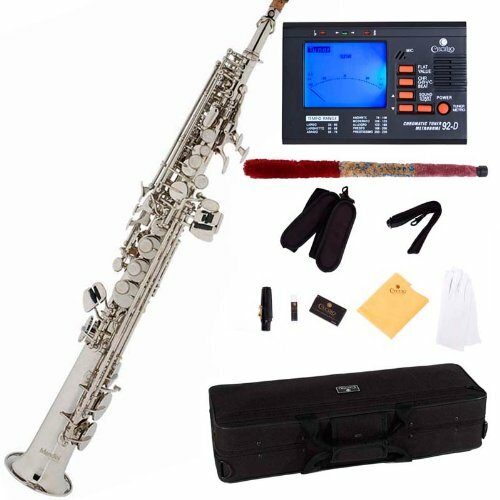 Saxophones365 approved, Mendini by Cecilio MAS-BNG+92D alto saxophones is the perfect instrument for student musicians and a great addition to any level players. The large bore makes it easy for young players to get a great, full bodied sound and the fast action keys allow for easy playability for all players. The tone is deep and rich with even intonation throughout the full range. 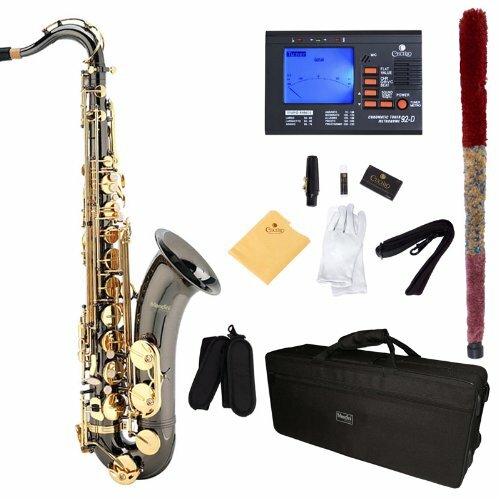 The package includes: a plush lined nylon covered hard case with backpack strap and zippered pocket, a neck strap, a mouthpiece with reed and cap, a box of 10 reeds (size 2.5″), a polishing cloth, cleaning rod, and a pair of white gloves to keep your instrument spot free when being played. 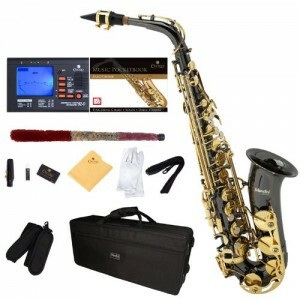 Buy with confidence as this black nickel plated body with gold keys Eb with high F# key alto sax comes with a 1- year warranty against any manufacturer’s defects.